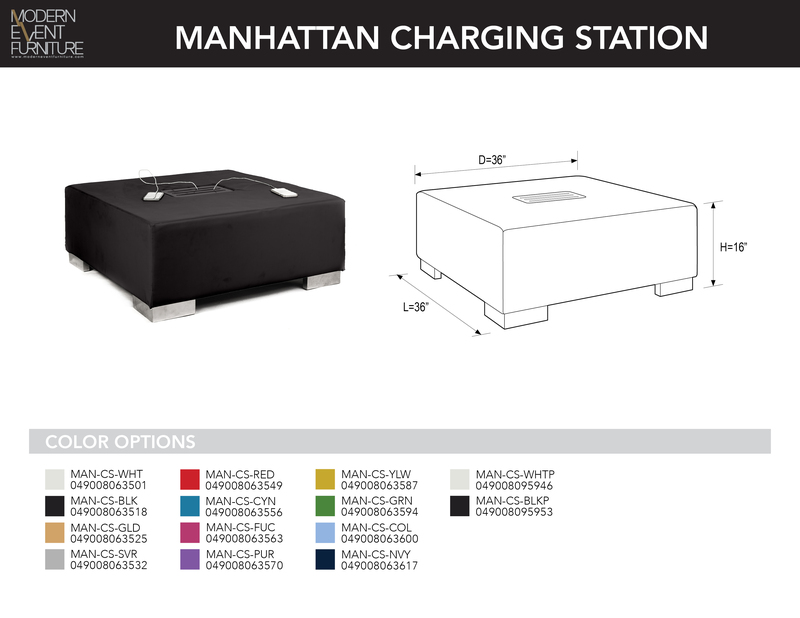 Manhattan - MEF Modern Event Furniture Inc.
Dock holds up to 6 devices! Same size as the Opus & Carleton. Includes 6 MEF cables in white or black; USB to lightning/ micro USB / USB type-C.